I think fish is a kind of staple food for Keralites (I am not sure about all parts of Kerala, but Malabar is known for fish foodies). Back in my home town I remember women and men waiting for the guy who brings fish on his bicycle. Most of them are in a hurry to get the fish and comes in a hurry thinking they are late and the fisherman might have left. You can clearly make out these confusions from their face and the glowy smile comes up on their face when someone says the fisherman had not come yet and they are also waiting for the fish. 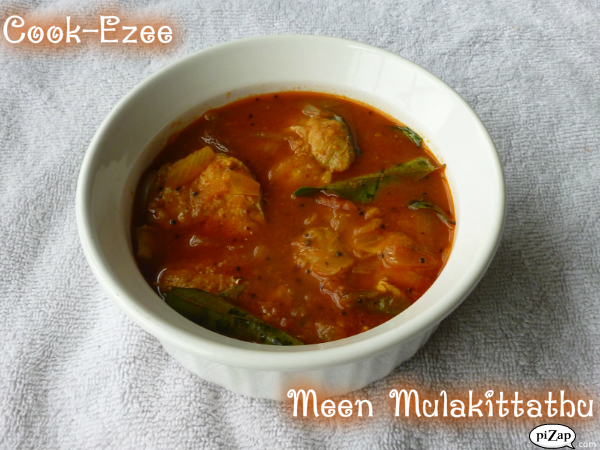 I believe my grandma makes the best fish curry ever and again this recipe of mine has evolved out of her cooking. 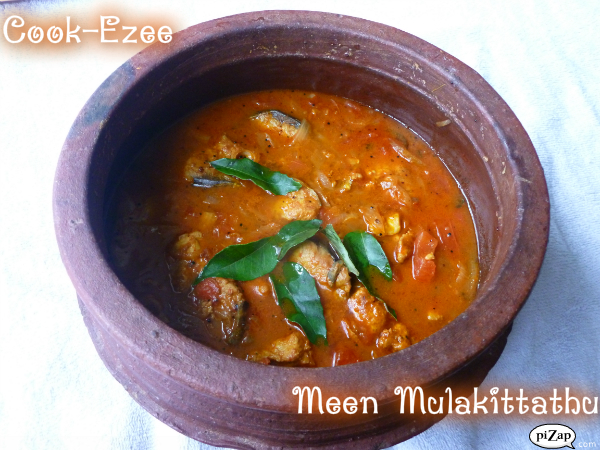 There are lots of recipes for fish but this is a simple one, anyone can make this curry with the basic ingredients found in every kitchen. Cut the fish into med size pieces if the fish pieces are big. In an earthen ware(man chatti) put the fish pieces, some salt(rock salt preferably) and 1 tsp lemon juice and mix with the fishes. Wash and clean the fish gently without breaking the fish and set aside. Soak the tamarind in 1/2 cup water for 10 minutes. Squeeze out the maximum tamarind paste out of it and set the tamarind water aside. Pour 1/2 cup water to the same tamarind and squeeze out the rest of the tamarind water from it and trash the tamarind. Heat some oil in a pan and crackle mustard seeds, add fenugreek seeds and saute for a minute. Add shallots, ginger, green chillies and some curry leaves and saute till light brown. Add the tomato and saute till it is soft. Add 1/2 tsp turmeric powder and salt and saute until it mix well. Add the squeezed tamarind water and let it cook well for 5 mins till onion and tomatoes are slightly cooked. Add the fish pieces(u can lightly fry this fish with very little oil if desired, frying helps the fish not to break while you cook) and let it again cook for another 5 mins or till the fish is cooked properly. 8. Remove from stove,add some more curry leaves and a tsp coconut oil on top and serve with Rice or Kappa(Cassava) or anything of your choice. 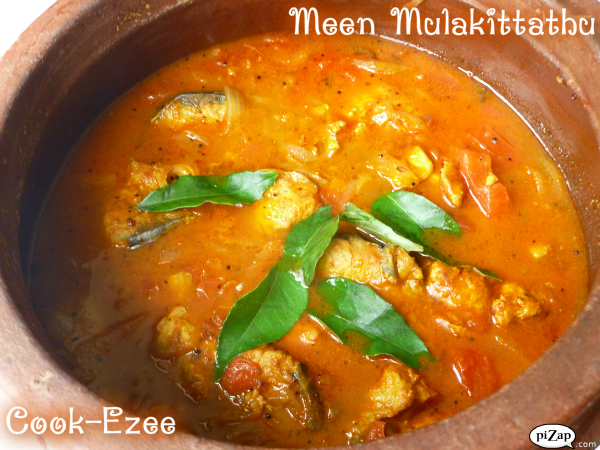 Tip: - Fish curry tastes better after four to six hours of preparation or on the next day.